May those who die today who, through strict justice, deserve condemnation, beg for the divine mercy at the Lord’s feet, even in their last breath, and thus be saved. Jesus’ words to the criminal, maybe moments before they both expired, gives us hope that it is never too late to sincerely repent regardless of our sins. 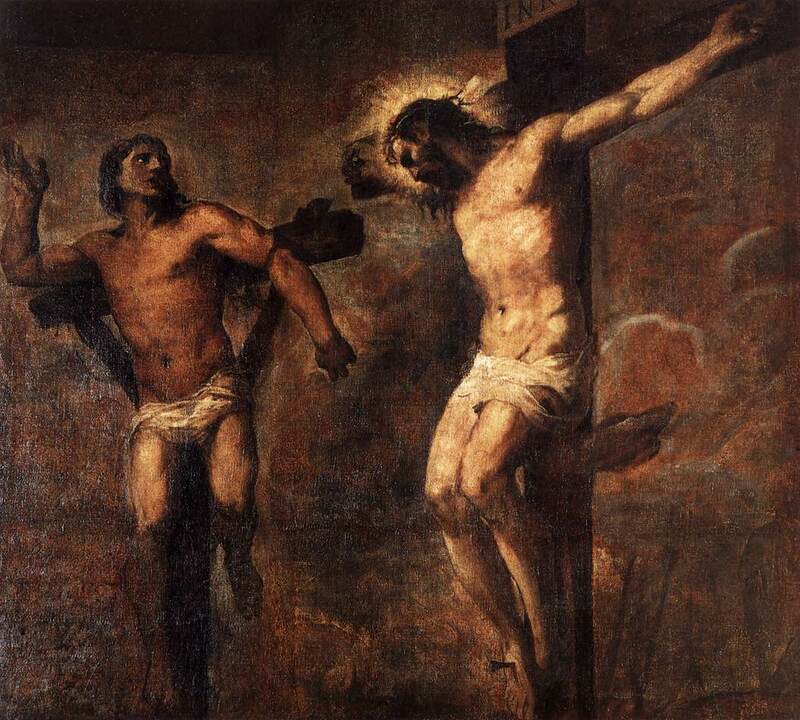 Invoking the intercession of this so called Good Thief, traditionally known as St. Dismas, is surely powerful here. In the parable of the Workers in the Vineyard (Mt 20:1-16) Jesus’ lesson is that all are welcome into the Kingdom no matter how late they come on board. The landowner in the story cautions us thus: “Are you envious because I am generous?” We are to work with the landowner (God) to bring souls to salvation, even those (especially those) furthest away. God “wills everyone to be saved.” Again, who are we to not cooperate with the Lord as we read His words in the Bible. Paul writes to Timothy about a spiritual good work that is “good and pleasing” to God. We must not neglect this task of mercy.